Creating an account on Gramto is a straightforward process. You have two account creation options, Facebook or Sign Up form. Both of these processes take less than a minute to complete. We’ll be guiding you on how to create an account in this article. You’ll be automatically redirected to your Gramto Dashboard. 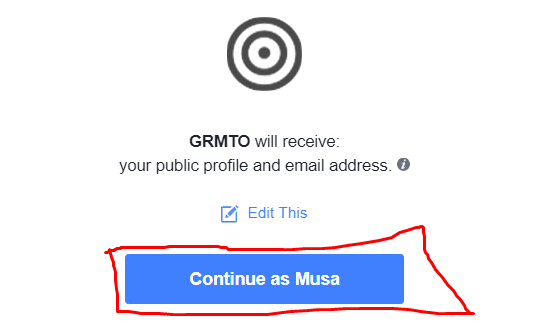 You have successfully set up your Gramto Account using Facebook.If you want to log in next time, simply click on the Login with Facebook button and you’ll be logged in automatically. After creating your account, ensure you change your timezone and Language from your Profile page. You can now head over to Add Your Instagram Account. Do you have issues creating your account? Kindly drop your comment below. I added my account via the sign up but I cannot add another one, there is no button showing up for that. Free users are allowed to add just one Instagram Account. The option to add more accounts will only show up after upgrading. Also I am trying to upload a video but it says the file is larger than allowed. What is the allowed file size?